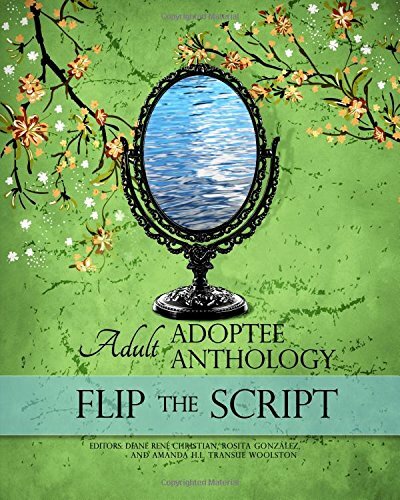 Diane: Tell us about your piece published in Perpetual Child: Adult Adoptee Anthology. 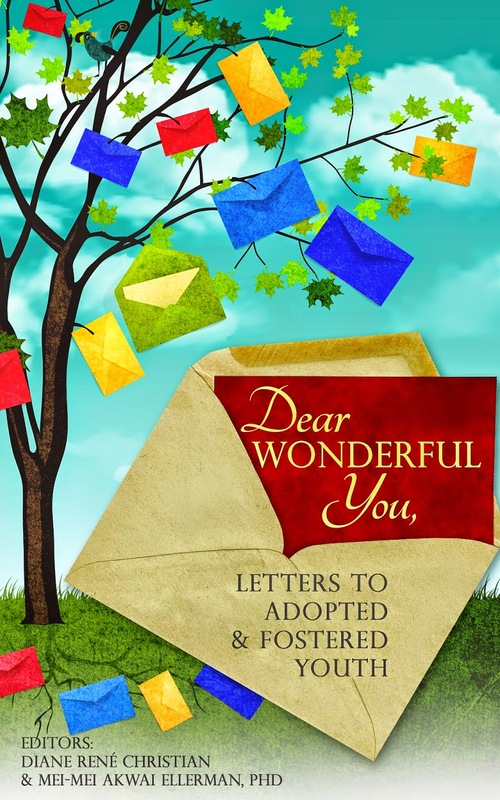 Julie: In considering the societal notion that adoptees remain “adopted children” long after our childhoods’ have ended, I thought back to my own childhood. I considered the moments that represented an adoptee coming of age and gaining a fuller, more adult understanding of adoption practices. As an adoptee who was born and adopted in the United States, my thoughts landed on the first time I saw my amended birth certificate and realized that information I needed to feel whole and secure in myself was purposefully being withheld from me. 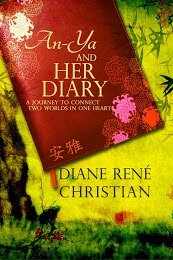 Diane: How did you approach writing your piece included inside the Anthology? Julie: The process was interesting for me. I am a journalist and copywriter by profession so my writing usually involves stories about other people or promotion of my employer. Digging a little deeper into my own narrative and bringing something specific to life was a rewarding process. Mei-Mei: Did reading the pieces by other contributors bring up any unexpected feelings, or issues of which you were unaware? If so, would you like to share a few examples? Julie: Oh, wow. I learned from every contributor just as I do from any adoptee who is not me! While we all share some aspects of our narrative, there is so much variability. A domestic infant adoptee such as me is going to have a different experience from an international, transracial adoptee. I really appreciated what Angela and Lucy wrote, for instance, because their narratives differ from mine. Matthew also has a base of experience that is quite different from mine as well. I welcome all adoptee expression and enjoy learning from my peers. Mei-Mei: In what way did your relationship to your piece change [if at all], when reading it in the context of a collective work versus when you originally wrote it as a standalone piece? Julie: As a standalone piece, my essay reflects the experience of an adoptee who was adopted through domestic United States infant adoption. While many share my experience, mine is not the only type of adoption narrative. 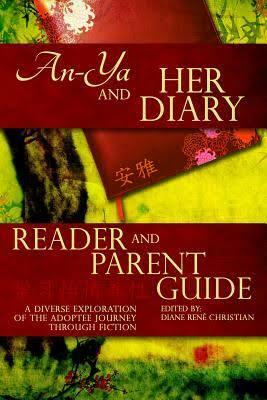 I feel so proud to have my essay included within a collection of diverse adoptee experiences and narratives. Perhaps my words are all the more powerful as part of the collective whole. Julie: On my personal website, I list my influences as Kermit the Frog, my sixth grade language arts teacher, The New York Times and People magazine. All four directly influenced my decision to major in journalism and pursue a career that involved communicating in writing. My college professors and professional editors nurtured my skills and helped me grow as a writer. Julie: I am currently employed as a marketing copywriter for a large investment firm. So I write and edit all day long. Of course, 401(k) plans and mutual funds can only offer so much inspiration. Much of my personal writing is done in the evenings. Although, I prefer to write during the morning hours when my brain is rested and fired up. Amanda: Are there any adoptees who inspire you creatively? Feel free to answer in general terms of being inspired by the adoptee community if you do not wish to name anyone specifically. Julie: I feel so fortunate to be a part of a large, talented and extremely creative adoptee community. Creative expression seems to be a healthy part of processing our experiences. I’m inspired by so many! I have adoptee friends who are painters, photographers, writers, and performers. And all of them have sought creative inspiration from their experiences as adopted persons. I’m in awe of this community every day. Diane: Do you have a favorite “writing space”? Julie: I was working as a freelance newspaper reporter when we moved to our current home. Much of my work was accomplished at the house. We closed in the formal living room area and made it a home office. My husband and I have desks that are pushed together. There are French doors with glass windows so I can see my kids in the adjacent family room. It’s a blissful space. Mei-Mei: Do you need complete quiet, a "room of your own," when you write or can you write under any circumstances? Does your writing simply flow from your pen, finger tips, or do you actually hear what you are writing, or see it as it takes shape? Julie: At my office, we work in open cubicles. And I have had to write newspaper stories while attending the events I was covering. As long as I have music and ear buds to create an “internal office” with music, I can write anywhere. Although, I prefer my home office. Julie: Oh, I liked to be edited. I’ve been doing this long enough that I have come to appreciate how the perspective of another person can be invaluable. I stink at editing my own writing. The brain sees what it wanted to put there. When colleagues, friends and family offer their insight and feedback, my writing is better. Mei-Mei: Given the choice to make three major changes in your life up to now, what would they be? 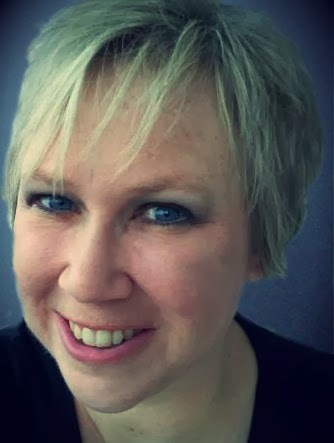 Julie: In 2008, I was accepted into graduate school for Library Science. Just before I was due to start the program, I was offered an on-site, three-month contract writing job and decided to put school on hold. That three-month contract assignment turned into the permanent job I have now. I would still like to get that graduate degree. As for the other two, I’m not sure. Suddenly become independently wealthy and start a foundation to support adoptee rights efforts around world maybe? Julie: I am fortunate to have been in reunion with my original families since 1998. So I know much about where my inherent talents and interests originated. My paternal natural grandmother was the editor of her high school paper. My natural dad managed radio and television stations for the United States Army. My paternal natural aunt works in a library. My maternal natural brother makes films and majored in communications like me. My son wants to be a writer and artist. I’m just doing what I was wired up to do. And I really like knowing that my interests and talents are not random. Julie: My adoption blog keeps me busy. And I am working on essays to submit for consideration in upcoming adoptee literary projects. I will be participating in a book reading event in June 2014. Julie: Oh, I just read Hamlet again. Okay, fine. That’s so not true. I am actually reading the Divergent trilogy by Veronica Roth right now. I’m a huge fan of the Hunger Games books by Suzanne Collins and the Divergent series has a similar vibe. I am completely roped into the trend of dystopian, young adult fiction. Our thanks to Julie for her contribution to the Anthology!